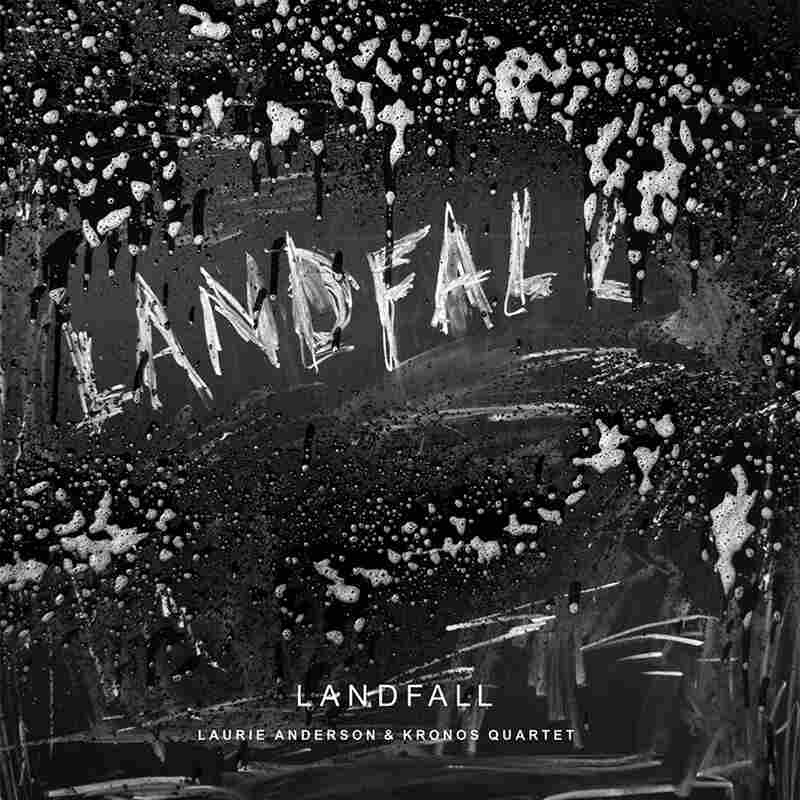 Review: Laurie Anderson & Kronos Quartet, 'Landfall' With a dream-like blend of electronics, acoustic instruments, high-tech software and voice overs, Anderson ruminates on loss and the meaning behind a devastating storm. Hurricane Sandy was a horrific natural disaster that no one would care to relive, except perhaps for the brilliant polymath Laurie Anderson. In Landfall, her 70-minute multimedia piece featuring the Kronos Quartet, she doesn't revisit the storm so much as ruminate – sometimes with dry wit – on the idea of how we handle loss. With a dream-like blend of electronics, acoustic instruments, high-tech software and voice overs, she searches for meaning in the mystery of it all. When Sandy hit the New Jersey coast on Oct. 29, 2012, a record-breaking 32.5-foot wave rolled into New York Harbor. Anderson's lower Manhattan home was flooded. "After the storm, I went down to the basement and everything was floating," she intones in that inimitable, lilting voice. Keyboards, projectors, props, papers, books, she says, were among the losses, "all the things I'd carefully saved for all my life, becoming nothing but junk. And I thought, how beautiful." Much of the music, too, seems to bob gently on waves that occasionally crest into violence. Landfall, which premiered in 2013, unfolds fairly chronologically, with a few fantastical detours. The album's opening tracks read like a story: "CNN Predicts a Monster Storm," "Wind Whistles Through the Dark City," "The Water Rises" and "Our Street is a Black River," which opens with a tender descending theme reminiscent of César Frank's Violin Sonata. The main mood in Landfall is a beautiful shade of somber. In "The Electricity Goes Out and We Move to a Hotel," Kronos chugs along with a reedy tone, offering a descending melodic motif with scratchy industrial effects. "It Twisted Street Signs" roils in chaos, while "Never What You Think It Will Be" grooves to a fat dance beat, strings slicing through the grime. And then there are the detours. "I was in a Dutch karaoke bar trying to sing a song in Korean," Anderson reports at one point over a breezy, muted melody. "And I was just getting the hang of things when the software crashed." It's tempting to think some of the magic is lost in this audio-only release of a multimedia work. At the premiere (which I attended), Anderson deployed software that translated the sounds of Kronos into flurries of words and pictographs on a giant screen. Along with lighting cues and a little on-stage smoke, the evening felt like a cross between story time and some kind of ritual. Still, with music as imaginative, visceral and sonically well-produced as this, the pictures in your own mind are probably better. And in the end, although Sandy resulted in loss for Anderson, she also gained something – another compelling story to tell.